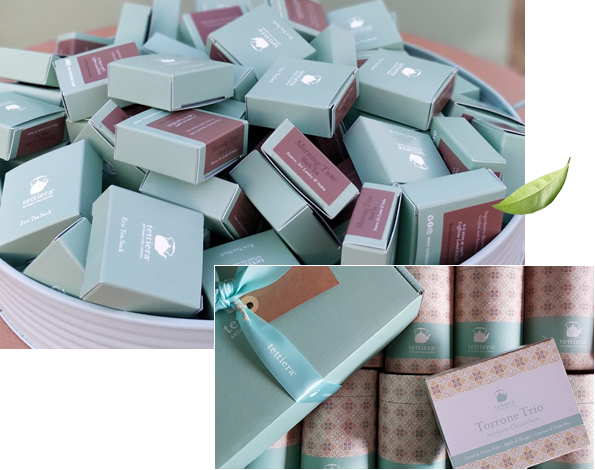 Tettiera’s Foodservice tea collection caters for high-end boutique hotels, small hotels, fine-dining restaurants, concept cafeterias and tea rooms. It also caters for DMCs and corporate organisations for events, board rooms and conference rooms. Our objective is to help you develop the tea ritual into an experience that will increase your establishment’s tea sales or by enhancing the overall hotel room experience. 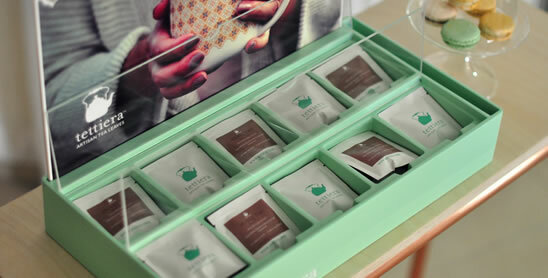 We offer hand-packed eco tea sacks for hotel rooms, board rooms, cafeterias, loose-leaf tea for breakfast, fine-dining restaurants and tea rooms. Orders are hand-packed by our local team. 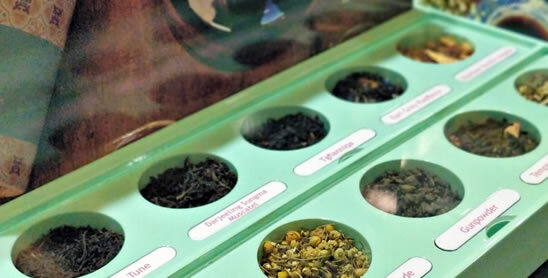 We offer a holistic approach that includes the initial consultation together with the following: tea blend selection ( selecting the right blends based on your consumer’s profile) , tea sales forecast, tea menu design & printing, tea leaf display tray, eco tea sack display tray, tea accessories and tea training for your team. Artisan Quality – Individually hand filled and hand packed – lead time 2 to 3 weeks depending on order size. 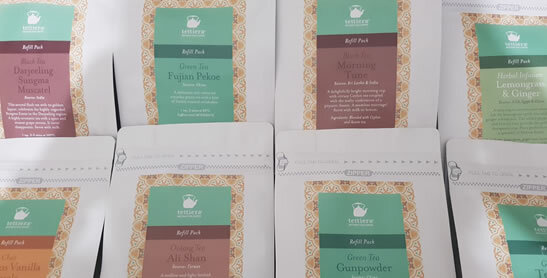 Our kraft paper zipper pouches are compact, re-sealable and if sealed well and stored out of direct sunlight, will sustain the shelf life of the loose-leaf tea, which varies from blend to blend and is approximately around 2 years. Refer to actual product labels for ingredients, brewing instructions and storage directions. Our bespoke POS material is designed and produced in Malta specifically to ignite the interest of consumers in the world of tea. Through a sensory experience, consumers choose the tea blend they would like to enjoy. Depending on the serving style of your establishment we can provide you with the right accessory tool kit for your tea ritual. 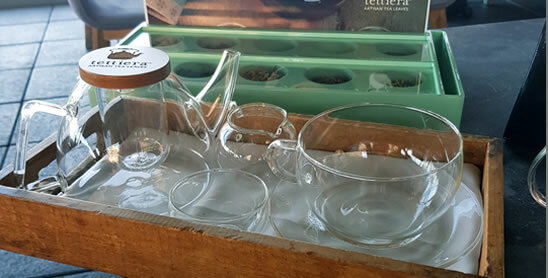 Our range consists of teapots, basket infusers, infusers, mugs, cups & saucers, sugar bowls, milk jug etc. Fancy a bespoke design? Contact us for a tailor-made idea that we can develop for you!